Lighting is a vital installation in a residential or commercial landscape. It will not only improve the security and safety in the outdoor area but also highlight the beauty of the landscaped property at night. But the installation of outdoor landscape lighting must be given to professionals who are well-experienced and properly trained in the technical aspect of the task. You have to avoid doing the installation in a DIY manner to avoid electrocution and damaging other landscape features. A poorly designed landscape lighting setup will not help in enhancing the beauty and functionality of your outdoor space. Your best option is to hire licensed and qualified installers like us at Phx Pavers & Landscaping. Our company has the capability to design and install outdoor landscape lighting in residential and commercial landscapes. We have completed numerous installation projects in Phoenix, Scottsdale, Glendale, Rio Verde, Mesa, and surrounding areas. Our clients from these areas praise us for our carefully designed lighting setup and use of topnotch products and materials. If you also want a well-lighted landscape, please call us at (602) 992-0468‬. If you want your outdoor landscape lighting to be reliable and efficient, you should hire certified and experienced landscape lighting installers like us at Phx Pavers & Landscaping. Our installation team is composed of licensed lighting technicians, so they know the right installation methods and proper procedures to follow when installing your chosen lighting system. We also equip them with the right tools and equipment. Our company has already worked on various outdoor lighting projects in residential and commercial properties, so it’s easy for us to design a lighting setup that will suit your needs and outdoor requirements. 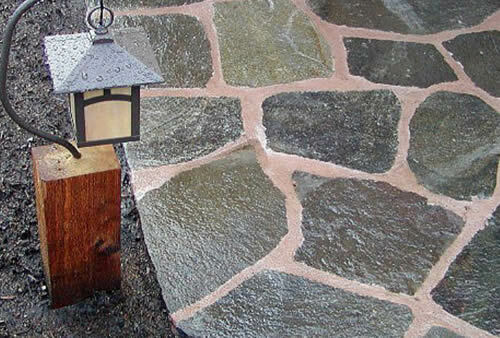 At Phx Pavers & Landscaping, you are guaranteed of a well-thought-out lighting system. We will survey the area to determine its actual lighting needs and discuss with you the different lighting options before creating the master design plan. We will also consider other important factors when designing your outdoor landscape lighting system. Some of these factors may affect the kind of lighting that we install in your property. For example, we may install more uplights and spot lights if you have trees and other masonry structures in your landscaping. We may also install underwater lighting to make your pools, waterfalls and ponds look stunning at nighttime. Our technicians will also apply lighting techniques to achieve a unique ambiance in your landscape. Some of the techniques that we may use include silhouetting, wall washing, grazing, and moonlighting. If you want to create a specific theme, just let us know and we will create the right lighting design plan. Our company uses modern lighting products to give you a long-lasting and reliable outdoor landscape lighting system. We highly recommend the use of low-voltage lighting and LED lights for their outstanding benefits. They consume less energy and last longer than the traditional lighting products. New LED lighting products are available in a wide range of designs and styles, so we can easily find the perfect lighting that will showcase the beauty of your landscape. Contact us now and let us start discussing your outdoor landscape lighting project.